Pleitgen noted that “several townspeople are still missing” and all of the children he spoke to had fled their homes. 1. 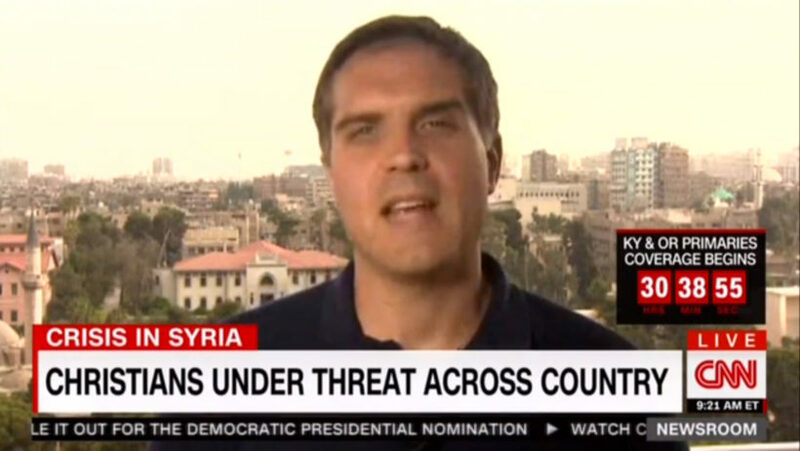 CNN’s is just one report on the plight of Syrian Christians (or Arab Christians in the Middle East). What type of bias does the media display by ignoring this or similar stories? Should this be a news story? Explain your answer. CHALLENGE: Do an internet search for ‘Muslim hate crimes’ or ‘anti-Muslim attacks.’ Then do a search for ‘Christian hate crimes in the Middle East’ or ‘anti-Christian attacks.’ Does the media fairly and accurately report on these topics? 1. Bias by story selection.